The days of having to order checks from your bank alone are long gone. You aren’t bound to the check types your bank offers, and there are a variety of places you can choose to get checks from. Top stub checks are a great option for many individuals and businesses. Instead of having to flip clumsily to your check register and back, all relevant information is available right at the top of the check. If you’re interested in frugal living, you know you need to track your money without spending a lot in the process. Discover why these checks are effective and efficient, as well and how to choose and buy them online. What Are Top Stub Checks? A top stub check is similar to a traditional top-tear check. You carry it with you, write the check, and tear it off for the vendor. The difference is that when you remove the check, there is a stub left above it. That stub allows you to write in information about who you wrote the check to and how much it was. Keeping track of everything in one place is faster and easier than flipping back and forth between a check register and a check. When you’re writing a check, you don’t want it to take more time than necessary. Saving time and having your records conveniently available are just two reasons to use top stub checks. 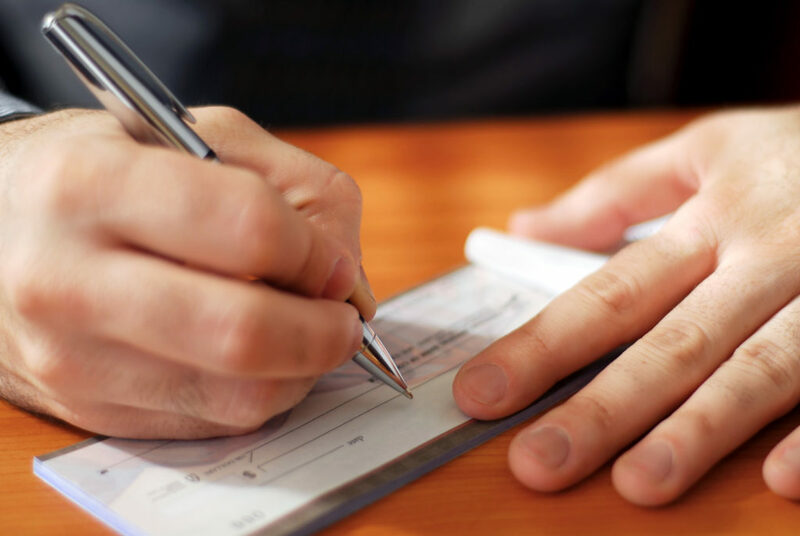 The first place many people think of when it comes to ordering checks is their bank. Your bank may not offer top stub checks as an option, and if they do, they will likely be expensive. When you order online, you can find any type of check you want. You can also find a variety of designs and covers to make using your checks enjoyable. You’ll also be able to compare different suppliers, which will allow you to make the choice that’s right for your budget. Many online check suppliers also offer free shipping, which is generally not available through your bank. When you shop around and compare prices, you’ll discover that buying online gives you better quality at a lower price and with less hassle than ordering from your bank. The first thing to consider when ordering checks online is data security. Your financial information is important it deserves the best protection. You also want to find someone who has a wide range of custom designs. A wide variety of designs helps you find checks that you will enjoy using. Finally, you want a provider that is cost effective. If you can’t save money order checks online, it’s often not worth it! 4checks is one provider that ranks highly in all these areas. They have strong security measures, are CPSA certified, and offer frequent special promotions. There are dozens of designs available in their top stub checks category. Carousel Checks also offers a wide range of designs with top stubs. They have verified and certified security protocols, and can help you save a lot of money compared to bank prices. Handling your finances wisely means tracking what comes in and what goes out. Checks with a top stub make that easy. For more information about making smart financial decisions, take a look at our blog!